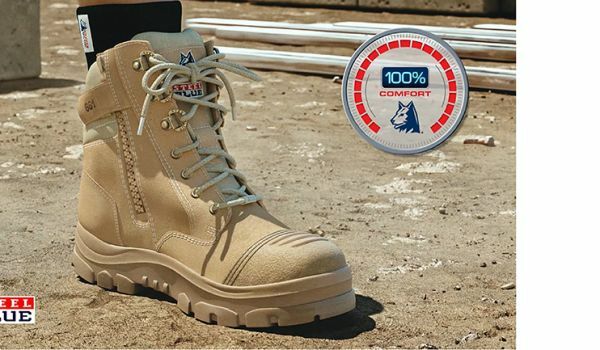 We only use premium manufacturing technology to ensure your work boots are built to last. However, if you do have a manufacturing issue with your footwear (and it has been correctly fitted and maintained) the Six Month Manufacturer’s Warranty will ensure your boots are replaced or refunded. This product contains a warranty against defects in material and construction (where sold in manufacturer’s condition) (Warranty). Any claim under this Warranty must be made within 6 months of the date of purchase of the product. 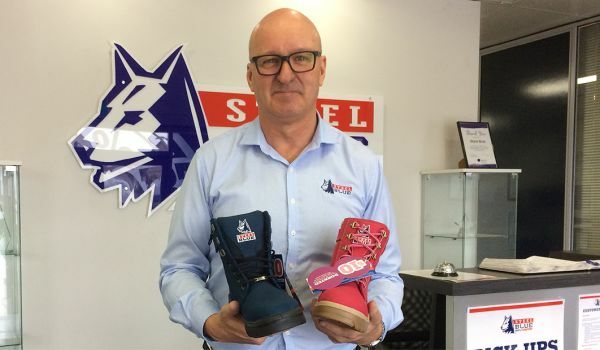 This Warranty is given by Footwear Industries Pty Ltd ABN 15 068 608 917 (Footwear Industries) of PO Box 2320, Malaga, Western Australia 6944. To make a claim under the Warranty you must present the product, together with proof of purchase or issue, to the store where you purchased the product from. If the product is defective and does meet the Warranty, you will be provided with a replacement product, or where that is not possible, a refund. This Warranty will not apply to products that have been misused, or used in a manner contrary to the purpose or suitability of the product. Forms of misuse may include, but are not limited to cuts, heat/burns, exposure to chemicals, exposure to lime or excessive water or force, if the product is not designed or suitable for that purpose. The product may be considered not suitable for purpose, and the Warranty may not apply, where the product was incorrectly fitted or subject to excessive wear and tear. Footwear Industries will pay your reasonable, direct expenses of claiming under this Warranty. You may submit details and proof of your expense claim to Footwear Industries for consideration. This Warranty is provided in addition to other rights and remedies you have under law. Our goods come with guarantees that cannot be excluded under the Australian Consumer Law. You are entitled to a replacement or refund for a major failure and compensation for any reasonably foreseeable loss or damage. You are also entitled to have the goods repaired or replaced if the goods fail to be of acceptable quality and the failure does not amount to a major failure.